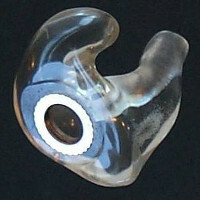 (Standard) This style is used as a “Receiver” mold, for snap-in body aids, and in cases where extreme feedback is a problem. Cosmetics are not an issue in these cases, as the loss is often profound. The mold fills the entire concha area and tragus by necessity. 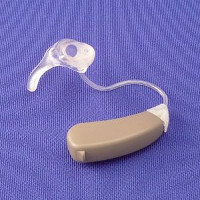 Some specialized headset systems (such as those used by pilots) and other communication devices may also use this type of earmold. This style is available in the full range of EMSEE materials. Shell The shell mold uses all the retention of the bowl of the ear from top to bottom, but is carved out inside to follow the contours of the ear. 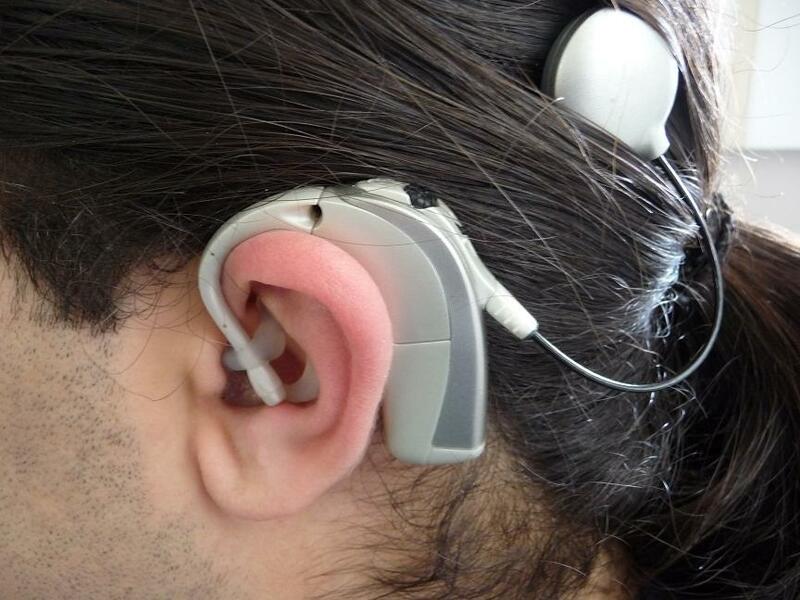 Is is suitable for a broad fitting range covering moderate to profound hearing losses. 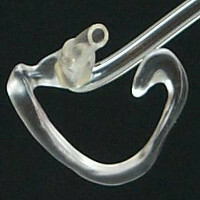 A helix lock (curving up into the triangular fossa) may be added at no additional charge in order to maximize feedback control when matched with very high-gain instruments, or where jaw motion may cause the ear to shift. This style is available in the full range of EMSEE materials. Half-Shell Similar to the shell, but with the upper half of the concha (cymba) removed for comfort and ease of insertion where there may be dexterity issues. 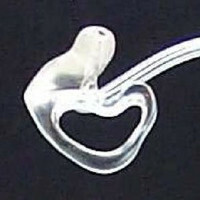 The fitting range for this style is from moderate to severe hearing losses. This style is available in the full range of EMSEE materials. Skeleton This is a popular option where an inconspicuous mold is desired. It effectively provides a good seal while allowing the concha to be relatively open, for greater discretion and airflow in the bowl of the ear. 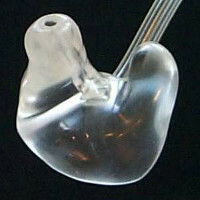 The fitting range is for mild to severe hearing losses. This style is available in the full range of EMSEE materials. (Half-Skeleton) When there is little or no retention due to a sloping concha lacking definition, this style is ideal. It provides suitable retention where losses range from mild to severe. It is similar in structure to the skeleton, but without a full rim through the back of the concha, which might otherwise stick out of the ear. This style is available in all EMSEE materials except Ultraflex and Silicone II. 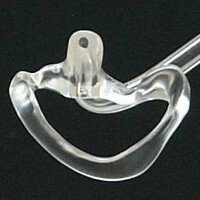 (Canal lock) Only the anti-tragus, the lowest part of the concha rim, is retained to keep the mold in proper position. 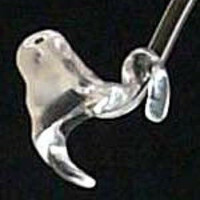 The small retention arm can be used to assist in removal, and is aesthetically one of the most popular earmold styles. The fitting range is suitable for mild to severe losses provided that the canal and anti-tragus are well-defined. This style is available in all EMSEE materials except Ultraflex and Silicone II. Canal Tip The helix and concha portions of this style are completely removed, leaving only the portion of the mold from the primary seal inwards. If the canal is well-defined, a canal tip may be used with a fitting range from mild to moderate losses. This style is available in the full range of EMSEE materials. We urge that all canal molds should be made with long canals to ensure proper retention, requiring impressions to extend beyond the second bend. IROS An IROS fitting is not a truly non-occluded mold; instead it is a modification of an occluded style with a very large, open vent which allows low-frequency sounds to enter the canal unaided, while the high frequencies are amplified. By cutting away part of the canal where the vent opening would be, we are often able to make the vent larger than would otherwise be possible. It’s most commonly made in conjunction with a Skeleton style mold in an acrylic material such as Hard Clear or Medicryl, but this option is available in all styles except Canal Tip, in the full range of EMSEE materials. Regular CROS The CROS family of molds is used with high-frequency hearing losses, maskers, CROS and BICROS fittings on either the microphone or the anchor sides. 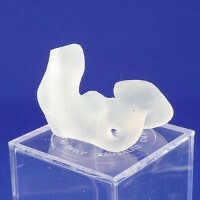 Most often, the material used is an acrylic such as Hard Clear or Medicryl, however, this style is possible with any material. 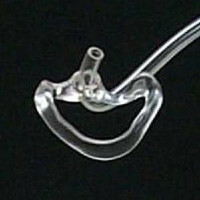 With a concha portion resembling a Skeleton style, the canal is reduced to just hold the tubing in place. With the Regular CROS, the tubing is extended beyond the end of the mold into the canal, to allow the most unaided, as well as amplified sound to pass into the ear canal. CROS #2 Similar to the Regular CROS, except that the bridge area between the canal and the triangular fossa is removed. CROS #3 Similar to the Regular CROS, except that the canal portion of the mold, while still reduced in diameter, is extended to cover the entire length of the tubing to the same depth as an occluded mold. 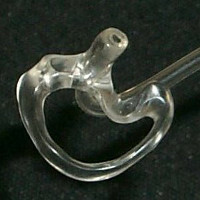 T-Mic Retainer Designed in conjunction with Advanced Bionics, this style of mold serves as an anchor for a Cochlear Implant. 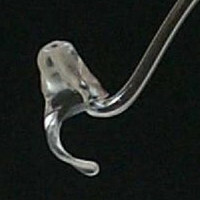 A strong gripping loop in the concha attaches to the earhook and keeps the receiver part of the implant firmly in place. With sound being transmitted via the implant, feedback will never be a concern in these cases, and therefore we open the canal up fully to allow as much airflow through the ear as is possible. This style must be made of a soft material, such as Silicone II, and is available in Skeleton or Full Shell only. 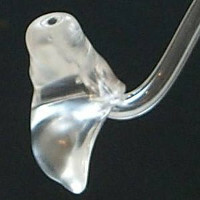 Click here for a picture demonstrating a T-Mic as worn in the ear. Hollow Canals We have a comprehensive line of Hollow Canal molds for open-fitting devices, with options both for standard tubing and preformed slim-tubes. These styles are explained in more detail on the Open-Fit Styles page. 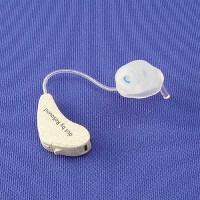 Receiver In Canal Depending on the size of the ear canal, RIC hearing instruments should preferably be made with a hollow canal fitting; however, if the ear is too small, other options are available. These styles are explained in more detail on the Open-Fit Styles page.